"F*ck You, Your Honor" is a satirical literary novel about a low-end attorney and real estate broker who is ordered by a judge to write a book to save his law license. Having quit my sixteen-year litigation practice some years ago, and having watched My Cousin Vinny for the second time last week, I was ready to read Chambers’s FYYH. Delicious material. I’ve gotten continuing legal education credit for studying parts of Vinny; its prosecutor’s opening statement, for instance, is a textbook example of how to conduct one. Chambers’s book is equally realistic, and equally funny, too. For instance, when Darwyn visits his Judge-Judy-watching mother and has her question his legal bonafides because he questions the TV judge’s rulings, he experiences something lawyers commonly experience with at least one member of their family. Chambers, of course, is a lawyer, so he gets it right. He’s a hilarious writer, too, so he makes it painfully funny for Darwyn. The book moves along well. It reads out loud well, too; I just read two chapters to my mother, whom I’m visiting (though without the TV courtroom on in the background), and we both laughed out loud a great deal. FYYH helps me laugh at the nightmares I wake from as a former lawyer. Thank God Vinny and Darwyn have lived them so I can laugh at them and, one day perhaps, put it all to bed. Whenever I listened to Billy Joel’s “Piano Man” I would wonder what the hell a real estate novelist was. Now I have my answer. 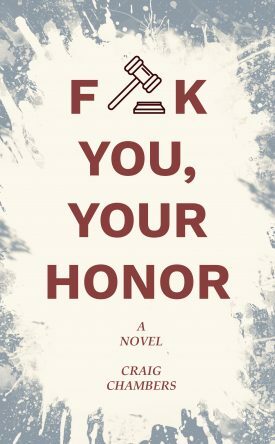 “F*** You, Your Honor” is a novel about a real estate agent and lawyer Wyn VanWye, who seems to find himself in the bowels of both professions. After getting on the bad side of a judge he is ordered to write a book about the integrity of the legal system. Wyn has a unique perspective on this topic. He illustrates the legal process as messy, nonsensical, and ludicrous, but somehow mostly just. The humor in the book keeps it from being too abstract, serving as a reminder that we are reading about a flawed human being. Overall I really liked it. It was quite readable and helped take my mind off of work at the end of the day. In his first novel, Craig Chambers does what story is supposed to do. He takes us somewhere we’ve never been and introduces us to ourselves. Attorney at Law Darwyn “Wyn” VanWye has been ordered by a tyrannical judge to write a novel about the “dignity and integrity” of the legal system. The fact that the book you’re reading is the very book Wyn’s been working on should come as no surprise. How you get there is quite the unexpected and delightful ride. Arguably. How great it would be to watch this story projected onto the silver screen. Craig Chambers demonstrates a writing style that makes it hard to put the book down once you start reading it. This fictional account of an attorney trying to regain the love of his life while being given a harsh sentence by a judge to write a book. So his life is a mess while he contemplates what he is going to do about regaining his wife and satisfying a judge bent on revenge. Throughout the book, the author goes through actual cases that he has defended which is very interesting to see how our legal system really works. Craig Chambers is not only a very good writer but he is also a very good attorney. He is a licensed real estate agent and an attorney specializing in real estate law and various other areas of law. 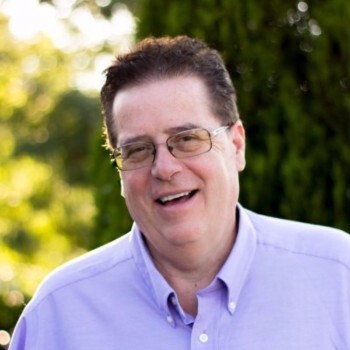 He has helped me immensely with a dishonest HOA where I had a rental property. So if you live in the Denver area, I would recommend him as a real estate agent or a real estate attorney.